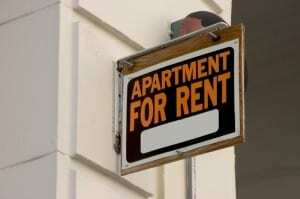 A measure that would have required New Hampshire landlords to accept Section 8 vouchers was defeated in the state’s legislature. According to a news report, as lawmakers debated the measure, a number of landlords raised concerns over increased regulation, including requirements that properties be updated to meet the federal housing program’s standards. Ultimately, the bill was defeated. Source of income remains a protected class in some cities and states around the country, including California and Massachusetts. While landlords subject to these rules are not required to rent to tenants on government subsidies, they are prohibited from rejecting otherwise qualified tenants because they don’t meet employment standards, or because a landlord doesn’t want to participate in the housing program. Landlords tend to balk at affordable housing rentals because the paperwork requirements can be burdensome. Lease modifications may be modified, for example, making it more difficult to evict problem tenants. The property must undergo inspections and must meet state or federal guidelines for habitability. Occasionally, the voucher provider is slow to make payment, and the rent may get held up in bureaucratic red tape. As a result, there is a long wait for tenants seeking affordable housing. During the last recession, when unemployment was high, more landlords considered Section 8 voucher programs because it provided a steady stream of available tenants on a fixed income — something that was in short supply. The gamble paid off for many. The top four slots on the owners list in the 2011 National Multi Housing Council’s top 50 largest owners and 50 largest managers were held by affordable housing firms.